Few days back we have published Picture Puzzles for Kids. These Puzzles were Odd One Out type of Picture Puzzles in which there were four pictures given and your challenge was to spot the odd picture out. 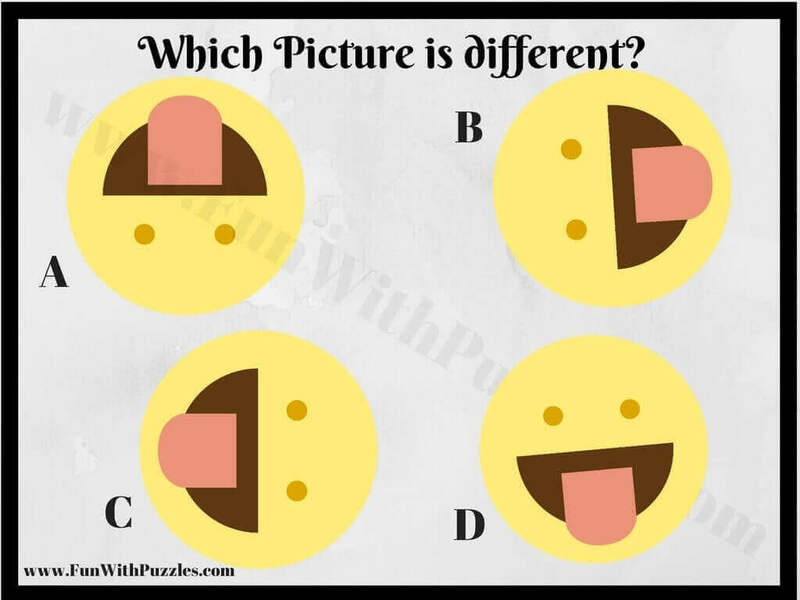 That picture puzzles were created for kids and are very easy. Here are the similar types of Odd One Out Picture Puzzles which are tougher as compared to Kids' Picture Puzzles. Soon we will published very tough Picture Puzzles for Adults. In each of these Picture Puzzle Images, four Pictures are given. Three of these pictures are exactly same. However there is one picture image which is slightly different from other three picture puzzle images. You challenge is find this Odd One Out Picture among given four Puzzle Picture Images. 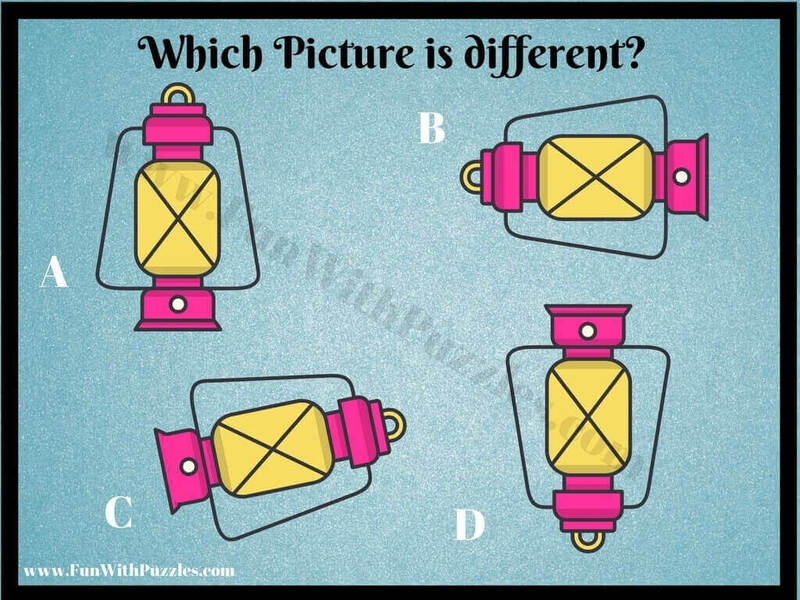 Answers of these Picture Puzzles are given at the end. 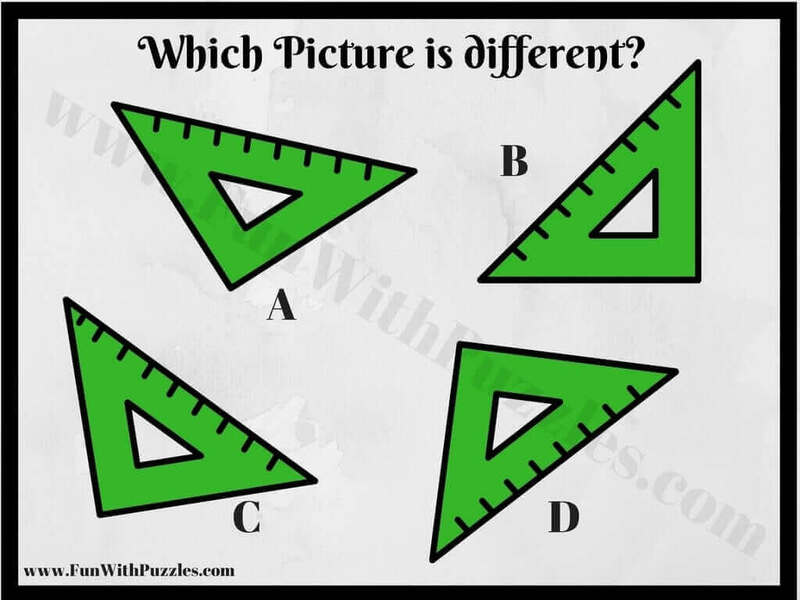 Lets see how much time you will take to solve these Odd One Out Picture Puzzles? 2. Can you spot the Odd One Out Picture? 4. Can you find Odd One Out? These picture puzzles were of medium difficulty level. One can check out the following picture puzzles for more fun solving. 1. 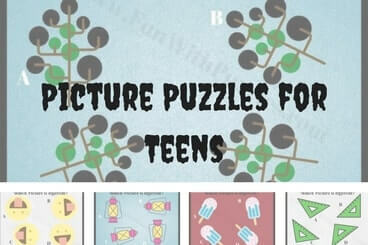 Picture Puzzles for Kids : These are the easy Odd One Out Picture Puzzles for small children. 2. 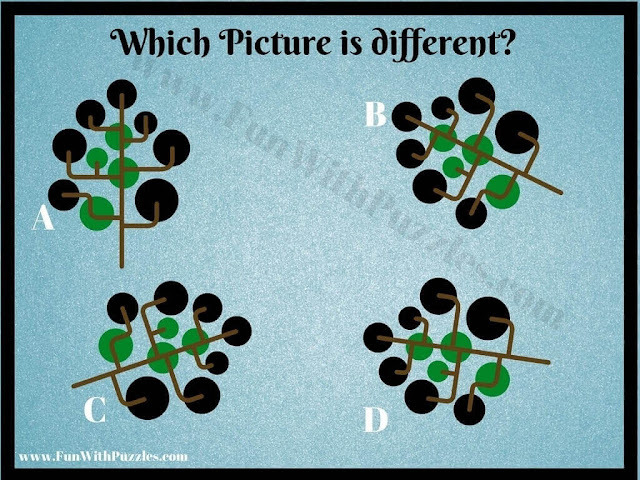 Picture Puzzles for Genius Minds: There are the very tough Odd One Out Picture Puzzles. 3. 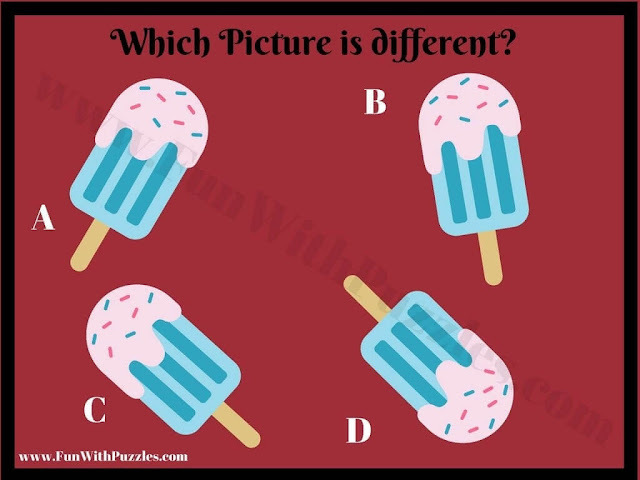 Find the Mistake Picture Puzzles: There are the Picture Puzzles in which one has to find the mistake in the given picture puzzle photo. 4. Picture Puzzles to find hidden animals: There are Cool Photo Puzzles in which Pictures are converted into puzzles. There are Natural Photographs. Some of the animals are made to hide in these photographs to make these picture puzzles to find hidden animals.